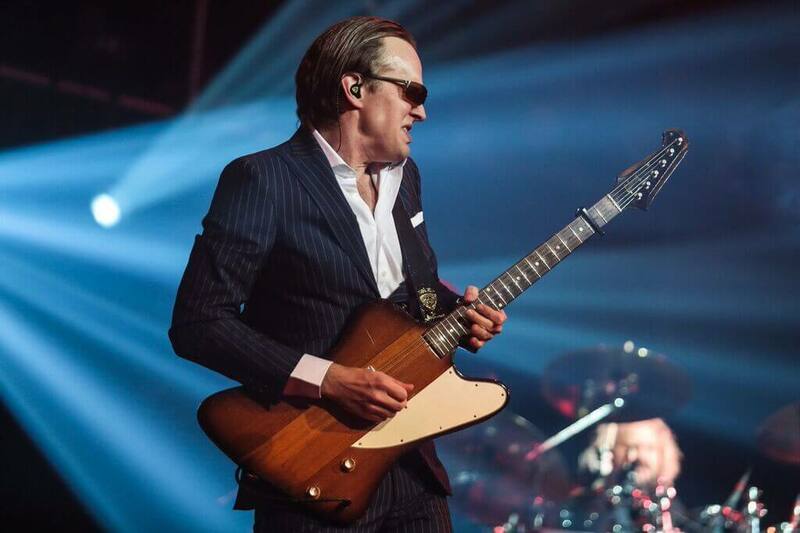 At 38, blues guitar legend Joe Bonamassa already has a career that spans a quarter century. One of the hardest working musicians in the business, Bonamassa’s touring schedule is relentless. While this is a godsend for his fans, it has also left the artist with a firm conviction not to follow in the footsteps of so many others who remain on the road well into their 70s. 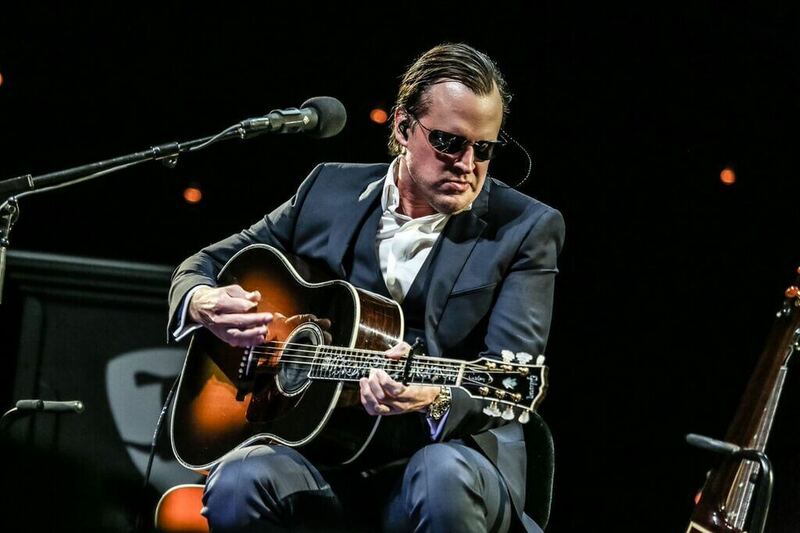 Regardless of his future retirement plans, Joe Bonamassa continues to break new ground, garnering more #1 Blues albums than any other artist in history and playing his dream venues around the world, all on his own terms as a fully independent artist. The guitarist is bringing his acoustic tour to Carnegie Hall in NYC on January 21 and 22. Some down time prior to a performance at Atlanta’s famed Fox Theatre back in November provided the opportunity for us to touch upon a few aspects of Bonamassa’s extraordinary journey. Roy Abrams: Congratulations on the upcoming Carnegie Hall shows! Added to the Radio City Music Hall shows from last year, we are seeing that you’re spending more time playing your “dream venues” … what’s the experience been like for you? 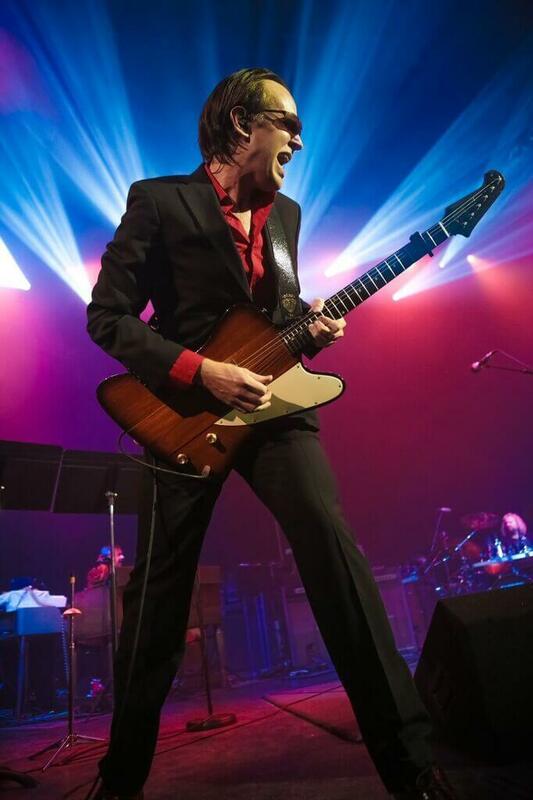 Joe Bonamassa: Yeah—Radio City last year, Carnegie Hall this year. Well, to play Carnegie Hall is a dream come true, obviously! We’re doing it acoustically, and with a very worldly band. I think it’s going to be a lot of fun; people are going to really enjoy it. RA: From that famous moment of discovery by B.B. King when you were 12, here we are, all these years later. Does it feel like a quarter century for you? JB: No, not really. It feels longer for me! This year will be 26 years (in the business). It feels a lot longer, to be honest with you. It’s been ten years in a whirlwind. We accomplished a lot in ten years. RA: As a student of the entire D.I.Y. approach, one accomplishment of yours in particular stands out: J&R Adventures, the independent record label and music management organization that was founded with (manager and business partner) Roy Weisman. The more I researched it, the more impressed I became by its scope and by the integrity that it represents. Can we spend a few minutes talking about its origins, its goals, how it evolved over time, and what the experience is like in that insular world as opposed to having to deal with the “standard” music industry? JB: One of the reasons why it exists is that the standard industry didn’t want anything to do with us. Necessity is the mother of invention. We get a lot of credit for it now, but nobody wanted to promote us, so we decided to promote our own shows. Nobody wanted to sign us, so we decided to start our own record company. It was pretty much as simple as that; it’s how it all kind of came about. We started this in 2002, and at the end of the day, it became very clear that we were on the right track. You can control your own destiny. It’s the difference between steering a Ferrari and a cruise ship. It’s the same winding road; the cruise ship is much harder to steer! It’s very easy to get conned by many or all forms of the industry. Image by Christie GoodwinRA: But you have managed to stay as clear as humanly possible but still thrive as part of it. JB: Well, there’s clearly a paradigm shift going on in the music business at this point. More bands are going to the do-it-yourself method, especially more on the record company side. Promoting their own shows, I’m not sure if they can get their head around it. You take a band that’s used to making money on tour working with Live Nation or something like that, and then you turn around and say, OK, here’s what we’re going to do: the guarantee is nothing, but if you sell the same amount of tickets, or even a little bit less than you did before, you’re going to make way more money. It’s a hard sell for people to swallow and get their head around. RA: In your bio that appears on your website, you state that several journalists have asked you, “Isn’t it risky?” Based upon everything that you’ve just said, it would seem that having your own company would allow you take, if not 100% risk, then certainly a greater degree than a standard record company would allow. JB: Take tonight, for example. We’re playing the first night of a two-night run at the beautiful Fox Theatre in Atlanta. The place holds 3,500 people. We have 3,250 tickets out for both shows; it’s 6,500 seats. There’s no promoter in their right mind that would have taken a chance. This is the second time that we’ve done two gigs since we sold out here at the Fox. Basically, at the end of the way, if you talk five or ten years ago, no promoter would have taken a chance on one night here at the Fox, at a $25 or $30 ticket price, they wouldn’t think that we could move 6,500 tickets in a weekend. That’s the difference: When you have the opportunity to believe in yourself—either we prove ourselves right or we prove ourselves wrong—either way, you at least have a 50/50 shot of being right. The other way, you’re kind of doomed to this circuit of whoever wants to book you in, where, and how, and it becomes self-defeating. I see a lot of people who I came up with 15 or 20 years ago really struggling now because they’ve been sucked into that vortex of the agent and promoter. They’re making deals for you, but they’re also making deals with stuff that’s new, the hot seat in town, and you’re kind of locked into all that, saying, “Give me a good deal on so-and so, and then we’ll do these other two or three shows … “ You quickly become a pawn in the system. When you work autonomously outside the box, you don’t have to worry about those sideline deals being done that are not in your best interest. The conversation (between) the manager and agent is, “Give me the best that I can get.” And the promoter is saying, “Well, just tell them that it’s the best I can do.” You know, they can either go dark on a Friday or Saturday night or you can come play Smith’s Old Bar. That’s the real long and short of it. Joe Bonamassa continues to break new ground, garnering more #1 Blues albums than any other artist in history. RA: I was speaking with Steve Hackett last week, and he is travelling on a similar path as you; he and his wife are handling everything as a couple; no managers, no agents from what I understand. A lot of what you just told me, they’re experiencing as well. Have you ever crossed paths with him? JB: Yeah, he came to a couple of shows at Shepherd’s Bush Empire withChris Squire. I was blown away! I’m a big prog-rock guy. I knew Chris for many years; a really, really great guy. It was sad to lose him this year. JB: —It’s already done. I recorded it secretly in July. I (also) recorded Live at the Greek this year … it’s been a banner year! RA: We’re seeing so many established artists who are now in their mid-70s. At 38, you’ve got another half of a career span to go before you reach that point. I’m wondering from a musician’s perspective: Where does one take it from here? At 38, blues guitar legend Joe Bonamassa already has a career that spans a quarter century. JB: Well, I committed to lasting until I’m (the) proper AARP age, which is 62. After that, I think I’d be overstaying my welcome. At the end of the day, I don’t see myself out on the road when I’m in my mid-70s; that’s not appealing to me. If I go to my 62nd birthday, it will be 50 years, and 50 years doing anything is plenty! I’ll be 62 and still have interests in other places, and a life to live outside of a road case. Previous post 8 Recent Blues & Blues-Rock Songs You Absolutely Need To Hear!